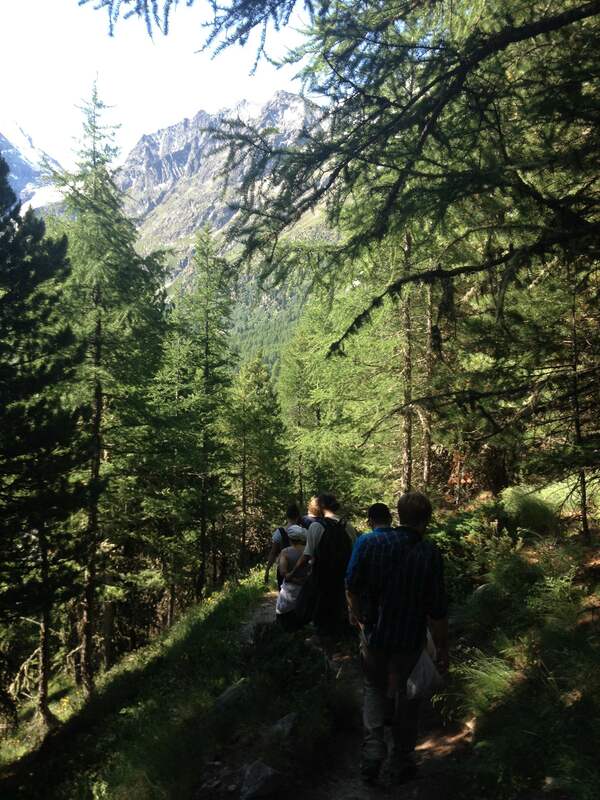 I’ve just returned from a workshop in Switzerland that I was really excited to be a part of: “The costs and benefits of information acquisition and use in social interactions”, organised by Michael Taborsky and Leif Engqvist from the University of Bern. We had 8 excellent speakers, with plenty of time between for group discussions (and four-course Swiss meals) looking out over the imposing north face of Mont Collon (3,637m!). I was really keen to be involved in this workshop as it really tied together my previous work (focusing on adaptive functions of certain types of social interactions in a cooperative species) with what I’m looking at now and moving more towards: how individuals use information about their environment and social groups. Michael’s work on how individuals respond to social information in cichlid groups has been a big influence on how I’ve thought about cooperation, so I was also very motivated to meet and hear more from him. The focus of the workshop was on social information, but given the broad interests of the speakers, we heard and talked about a variety of topics around this theme, from cognition’s role in group-living, to plasticity in information use. I’ll summarise what I took from the talks, and give a brief overview of the key messages or questions that we took away from the workshop as a whole. Michael started by asking what information individuals use when making decisions, and introduced Lloyd Morgan’s idea of parsimony in this context: i.e. behaviour should be interpreted as having used the most simple rules, and the lowest order of information. How true is this in the case of animal decision-making? He gave us some lovely examples from his own work on Norway rats highlighting the more complex information rats use when deciding whether to help a partner (by pulling a lever that gives the partner a food item), and the importance of context, something we came back to again and again over the course of the workshop. For example, rats pull the lever quicker to help out a partner if that partner had previously given them a high quality food item, relative to partners that had provided the focal individual with a lower quality item (Dolivo & Taborsky 2015). Jens Krause (Humboldt University, Berlin) then spoke about decision making in the context of collective behaviour and movement. 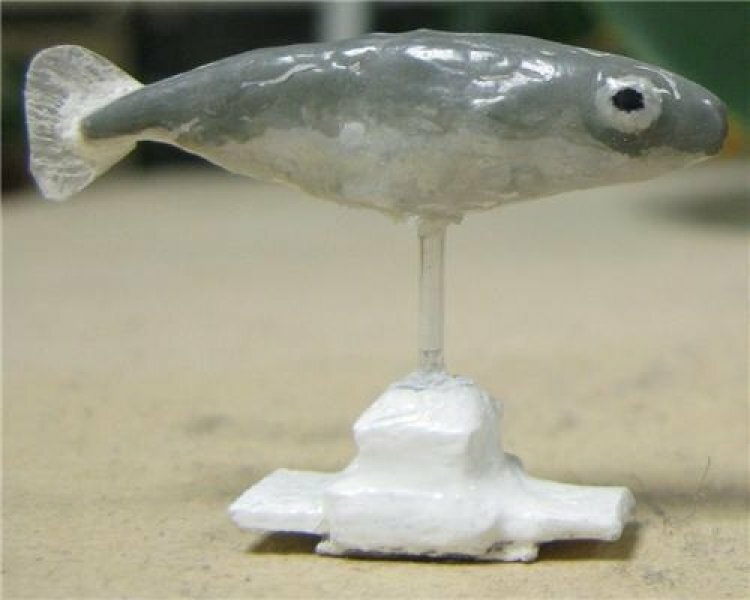 He’s been doing some neat experiments with robotic fish to test how an individual’s behaviour within a group can alter the behaviour of others (Landgraf et al. 2013). If one individual moves in a direction that’s counterintuitive, for example, will other individuals forego their own personal information to follow them on the basis of social information? He also introduced a new concept to me: the “quorum threshold”, the proportion of a group that “decides” for an individual, i.e. an individual’s likelihood of choosing an option is based on whether X% of a group are already committed to that option (leave patch, for example) (Sumpter & Pratt 2009). Sasha Dall from the University of Exeter asked a question that then came up in almost every subsequent discussion – what do we mean when we talk about information? (Dall et al. 2005.) He argues that the details we pick up about our environment is NOT information, but ‘data’ – information is what is derived from that data that reduces our uncertainty about the world – and that we should discriminate between content vs mechanism. For example, the news may provide information but is not inherently informative – it is a ‘channel’. (Interestingly, it seems that the problem of distinguishing data from information may be partly due to the fact that we don’t have a distinct word for what Sasha terms ‘data’ – Michael pointed out in group discussion that in German, the word informationen is analogous to ‘data’ in this sense, and is different from informatione which in this case is analagous to meaningful information). Straying a little into my particular interest in information use – in the context of plasticity – Dave Stephens from the University of Minnesota spoke about the model he’s developed to derive predictions about how individuals should respond to personal information and other signals from the environment (McLinn & Stephens 2006). … something that was also shown beautifully by Keith Jensen from Manchester University, who has been looking at what he calls “Other-regarding concerns”; a potentially uniquely human psychological mechanism allowing us to care about the welfare of others? (Jensen et al. 2014). He’s done some experiments that really blew me away, testing (separately) how children (aged 3 and 5) and chimps react to witnessing the food of one individual being stolen by another. Would the focal child/chimp punish the thief even if they didn’t lose anything from this interaction themselves? Chimps didn’t (Riedl et al. 2012) – but kids overwhelmingly did (Riedl et al. 2015)! Could this concern for social norms and fairness (even when fairness doesn’t involve the first party) be what makes human so uniquely prosocial? Moving back to theory, we also heard about some models of cooperation that Leif Engqvist is developing at Bern (as yet unpublished I think, so I won’t go into details), and from Jeff Stevens who joined us on Skype from Nebraska. Jeff has been doing some neat game theory-type experiments with human subjects to test the cognitive constraints on cooperative models like direct reciprocity (whereby you help an individual that has previously helped you) and has found that errors are common when people are asked to recall the behaviour (cooperation or defection) of previous partners, and increase with the number of interacting partners (Stevens et al. 2011). People were more likely to remember rare-type behaviours (i.e. when defecting is rare, remembered these partners better over varying retention intervals), possibly a mechanism by which cheating is discouraged and cooperation is maintained (Volstorf et al. 2011)? Lastly, we had a brilliant talk by Thomas Bugnyar from the University of Vienna on his work looking at how learning behaviour in corvids influences and is influenced by social structure. 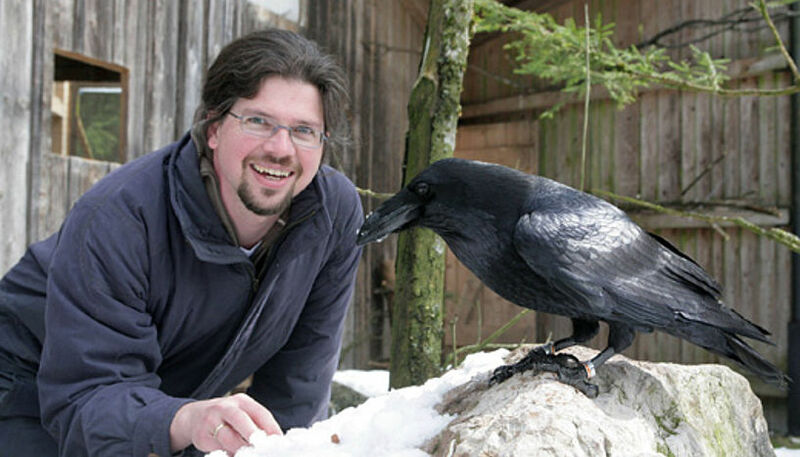 I am a huge fan of Thomas’ work, as it really integrates the field of cognition with evolution by looking not just at what corvids are capable of learning and retaining, but how this might drive evolution of traits, and social systems! He’s shown through some beautifully simple experiments that ravens pass on information about things they’ve observed horizontally AND vertically (i.e. transgenerational transfer of info) and that they are attuned to third-party relations such as change of dominance within and outside their social group (Massen et al. 2014). Here’s a lovely Q&A with Thomas in Current Biology: he’s one of them most enthusiastic and interested people I’ve met! He’s also organising next year’s European Congress for Behavioural Biology in Vienna, which will be an excellent conference (great speaker line up already!). These brilliant talks gave us lots to talk about in our group discussion sessions. Here are the main themes that struck me as important in these few days – I’d love to hear anyone’s thoughts on them! should individuals always use the highest order of information available? We developed this question/idea by conceiving a situation in which there were no costs of information acquisition – would there be any circumstances then under which some information could be ignored? There was a lot of discussion here about social context and how that might influence the benefits of obtaining more information relative to the costs of time delay or information retention. when might it be adaptive to ignore information? This question fed into the previous in getting us thinking about social context and costs/benefits… but was also interesting to consider in terms of Dave’s flag model which predicts that certainty of experience might over-ride the usefulness of potentially unreliable signals. Finally – the CUSO (Conférence universitaire de Suisse occidentale – a consortium of Swiss universities including Neuchatel, Lausanne and Bern) organises workshops like these every year. I would HIGHLY recommend them – this was an excellent way of meeting other young scientists and established researchers in a friendly, discursive setting. 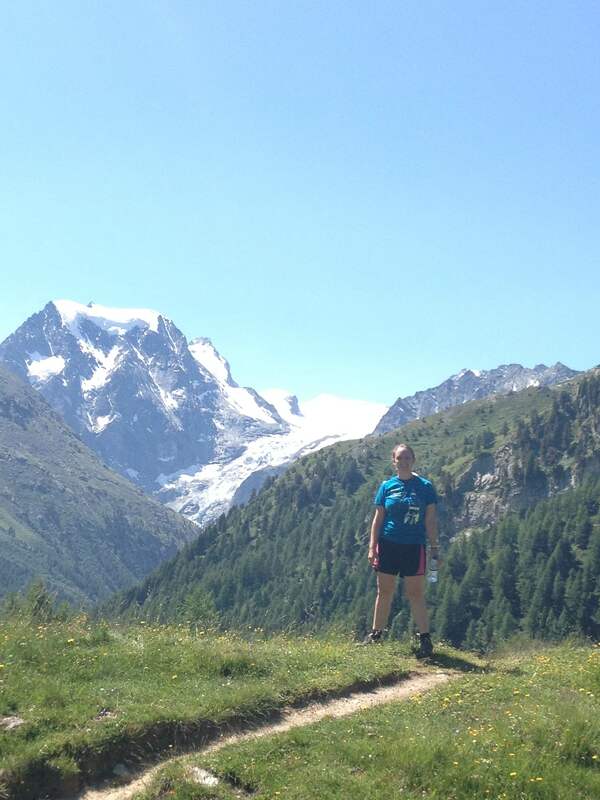 We finished off with a hike along the jaw-droppingly beautiful valley – perfect! Dall et al. 2005. Information and its use by animals in evolutionary ecology. TREE 20(4): 187-193. Dolivo, V & Taborsky M. 2015. Norway rats reciprocate help according to the quality of help they received. Biol. Lett. 2015 11 20140959; DOI: 10.1098/rsbl.2014.0959. Dunlap, A. S. & D. W. Stephens. 2009. Components of change in the evolution of learning and non-learning. Proceedings of the Royal Society (B) 276: 3201-3208. Jensen et al. 2014. The emergence of human pro sociality: aligning with others through feelings, concerns, and norms. Frontiers in Psychology. Vol.5; article 822. McLinn, C.M. and Stephens, D.W. 2006. 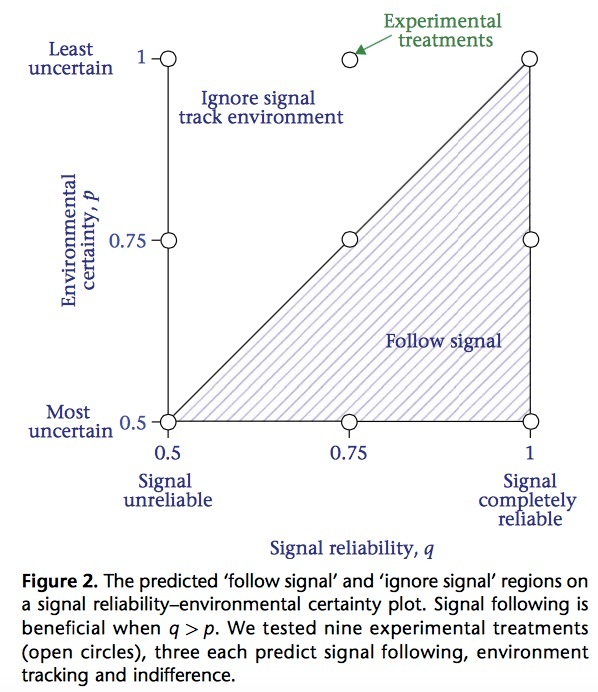 What makes information valuable: signal reliability and environmental uncertainty. Animal Behaviour 71:999-1252. Stevens et al. 2011. Forgetting constrains the emergence of cooperative decision strategies. Frontiers in Psychology. Vol 1, Article 235. Allonursing – what are the benefits? I wrote a while back to ask – is “cooperation” really cooperation if it imposes no cost on the giver? Two things are usually assumed about cooperative behaviours: that they incur a cost to the participating individual, and that they provide a benefit to the receiver. Back then I’d recently shown that subordinate female meerkats that allonursed (provided milk to offspring that weren’t their own) didn’t, as expected, lose a significant amount of weight while doing so relative to other subordinate female helpers in the group, suggesting that the long term costs of allonursing weren’t high at all – the opposite of what I’d expected to find! But what about the benefits of this behaviour? This is what I tried to find out next in an analysis that has recently been published in the Journal of Animal Ecology. For allonursing to really be a cooperative behaviour in meerkats, it should provide benefits to the individuals actually receiving the extra milk (pups), and possibly also their mothers, who might be able to reduce their own input because their babies are getting food from another source. In communally breeding species (a) mothers are simultaneously donors and recipients of allonursing, meaning that while mothers and offspring may benefit from offspring receiving allonursing, quantification of these benefits is likely to be confounded by costs (energetic costs to mothers of providing milk to non-offspring, costs to offspring of maternal resources being diverted to non-siblings). 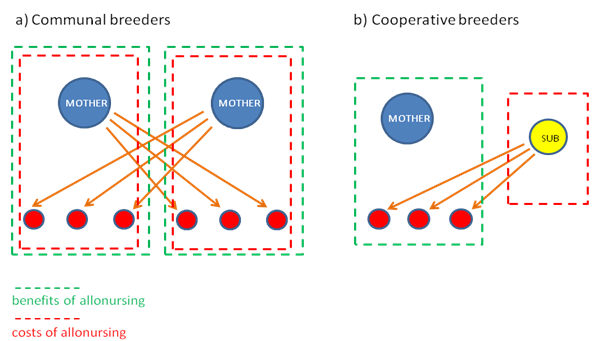 In singular cooperative breeders (b) only one female in the social group produces offspring, which are raised by subordinate helpers (denoted “SUB”) not concurrently rearing young of their own, so help is not reciprocal. Resultantly, the costs of providing allonursing are not confounded by the benefits of receiving it and vice versa. Dashed lines enclose individuals likely to incur costs through allonursing; dotted lines enclose individuals likely to benefit from allonursing. Small circles denote offspring. So what benefits might we expect to see pups and mothers gain from the lactational attentions of a subordinate female? MOTHERS: For meerkat mothers, the benefits are perhaps a little less clear. They don’t actually receive any food themselves – but, it’s possible that by their offspring receiving food from another individual, it frees up their time to forage more and nurse less, or reduces the energetic demands on them in terms of milk production. If this was the case, we’d expect that mothers with allonursing help should be in better condition when the pups are ready to forage for themselves than mothers who have to carry the burden of lactation alone. Being in better condition also has implications for other aspects of maternal life – such as reducing the time to the next pregnancy. To try and figure out how allonursing influences measures of pup condition, and maternal condition, and how these things might all be interlinked (along with environmental and social factors in a great web of ecological complexity), I constructed (with the help of the wonderful Katie McGhee) a structural equation model. Above is a simplified version of what we created – which was basically a web of relationships, which we specified based on knowledge of the meerkat system (in other words, we know that rainfall = heavier mums = larger litters, so we could specify those “paths” in the model). We then specified paths between allonursing and the things we expected it to influence, and tested the fit of the full model – and hooray, it fit the data! Then, to determine how important allonursing is in these patterns, we took it and its paths out of the model, and re-tested the fit, with the predictions that if it’s important in the patterns specified in the model, a model without allonursing in it should not fit the data. But – surprise! – the model without allonursing fit the data just fine — telling us that the influence that allonursing has on pup mass (g), survival, and maternal condition and lactation duration were not important. 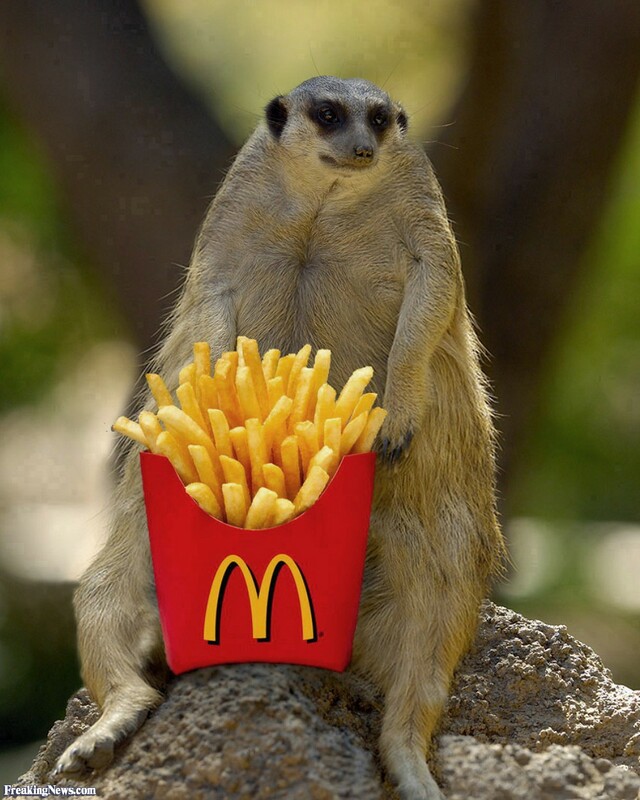 But back to the meerkats – and the strange lack of benefit that allonursing appears to provide (or not!). There are a couple of explanations for why we didn’t find the obvious benefits of allonursing that we were expecting to. we were looking at the wrong things – for example, Roulin & Heeb (1999) suggest that pups might benefit from nursing from a number of females as it might allow them to get different types of immune compounds in the milk they receive from multiple sources, resulting in a stronger immune profile that might have a better chance of fighting off diseases. Unfortunately we haven’t yet found a way of sampling milk from the meerkats so haven’t been able to test whether different females differ in what immune compounds are present in their milk. What we really need to figure out, in order to answer these questions, is how much milk subordinate females are actually passing on to offspring when they allonurse. As I mentioned, we haven’t yet found a way of measuring this in wild meerkats – a project for the future! Koenig, B. (1997) Cooperative care of young in mammals. Naturwissenschaften, 84, 95–104. MacLeod, K.J. & Lukas, D. (2014) Revisiting non-offspring nursing: allonursing evolves when the costs are low. Biology Letters, 10, 20140378. Roulin, A. & Heeb, P. (1999) The immunological function of allosuckling. Ecology Letters, 2, 319–324. Russell, A.F., Clutton-Brock, T.H., Brotherton, P.N.M., Sharpe, L.L., Mcilrath, G.M.F., Dalerum, D. et al. (2002) Factors affecting pup growth and survival in co-operatively breeding meerkats Suricata suricatta. Journal of Animal Ecology, 71, 700–709.